A citizens’ initiative to ban microplastics in cosmetics in Finland will be considered by lawmakers after the collection of 50.000 signatures last August. The importation, production and sale of care products with microplastics should be banned according to this initiative. A recent study from the University of the North West, South Africa, “Microplastics in freshwater water environments”, found microplastics in tap water in Johannesburg and Tshwane. 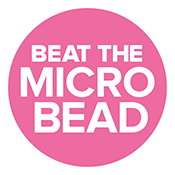 One of the policy recommendations is that South Africa should consider “the immediate ban on the import, manufacture, use, formulation, sale, and export of microbeads in products.” Since, the South African government is considering a total ban on microbeads in cosmetics toothpaste and sandblasting.